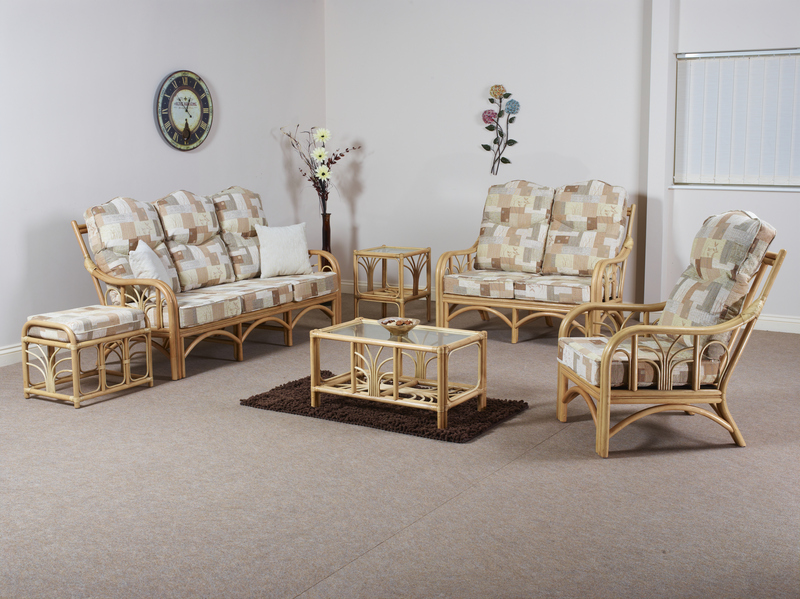 The Palm range is an open compact Cane suite. The traditional design is complimented by matching Side Table, Coffee Table and Footstool. Shown in NatWash finish with Mombassa fabric.